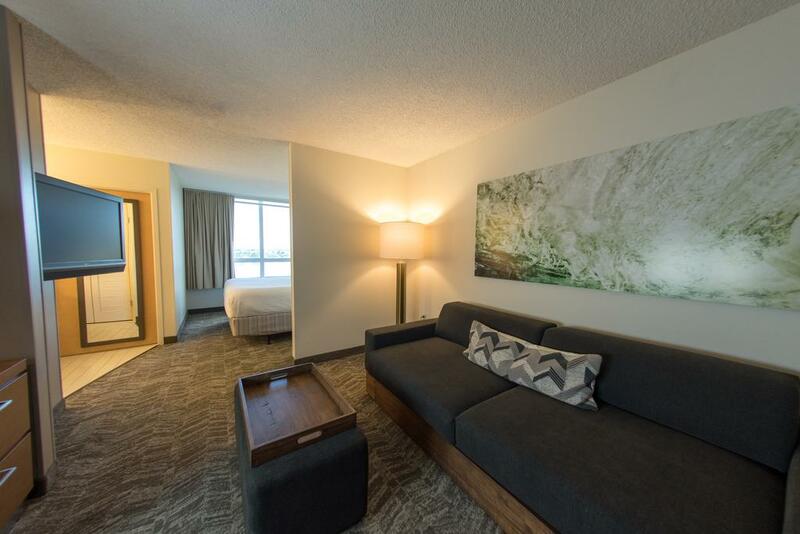 Discover stylish Miami airport suites at SpringHill Suites Miami Airport South by Marriott. Our hotel near Miami International Airport is the perfect place to work. Located in the heart of Miami, this hotel is within 6 mi (10 km) of Magic City Casino, Salvadore Park Tennis Center, and Miami International Mall. Dolphin Mall is 5.3 mi (8.6 km) away. A restaurant, an outdoor pool, and a 24-hour fitness center are available at this smoke-free hotel. Free buffet breakfast is provided, as well as free WiFi in public areas, free self parking, and a free airport shuttle. Other amenities include a bar/lounge, a snack bar/deli, and coffee/tea in a common area. All 150 rooms provide free WiFi and free wired Internet, LCD TVs with cable channels, and conveniences like refrigerators and microwaves. Other amenities available to guests include coffee makers, free newspapers, and free local calls.